President Muhammadu Buhari has been told that there is no land to allow for the establishment of cattle colonies as being proposed by the Minister of Agriculture, Audu Ogbeh. 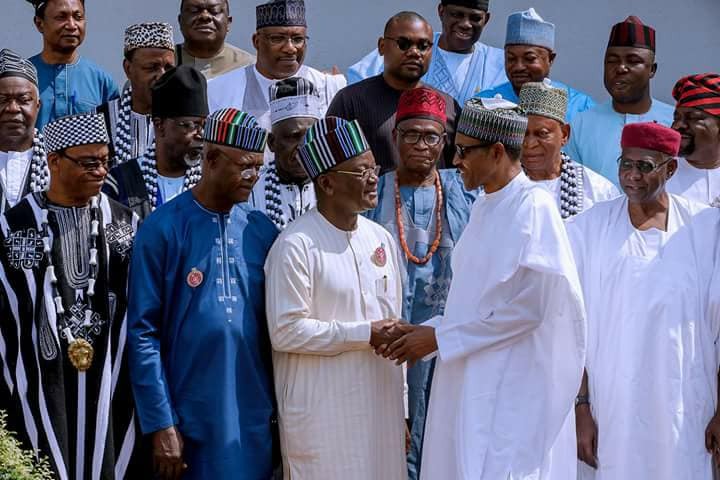 This was disclosed yesterday when prominent leaders from Benue State met with Buhari after they held a closed door meeting with him in the State House, Presidential Villa, Abuja. Governor Samuel Ortom, who led the delegation and addressed the press after the meeting, said Mr. Ogbeh, “who is a son of the soil has explained that cattle colonies are a combination of several ranches” and is proposing that ten thousand hectares be provided for that purpose. “In Benue, we don’t have ten hectares for colonies, other states may have, but we don’t have in Benue State,” he said. Among those in the delegation are former senate president, David Mark; former governor, George Akume and several others.